Class reunion? Family picnic? Company outing? • $150 per section, 10 wrist-bands provided per section. • Seating will not be reserved until paid in full. First-come, first-served. • Spaces will be marked with the name indicated on your order form. • Reserved seating does NOT include parking. 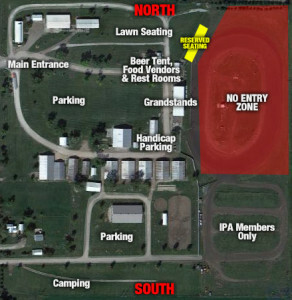 Parking at the fairgrounds is $10 per vehicle and is payable at the gate. Please tell your guests to arrive early if they plan to park at the fairgrounds. • NO COOLERS ALLOWED, per fairboard rules. • Boomtown will take place rain or shine. No refunds. NO exceptions.